My dog, OZZY has just done a little wee on my oak floor becauseof sheer excitement, at the prospect that he’ll be the coolest dog in the park! 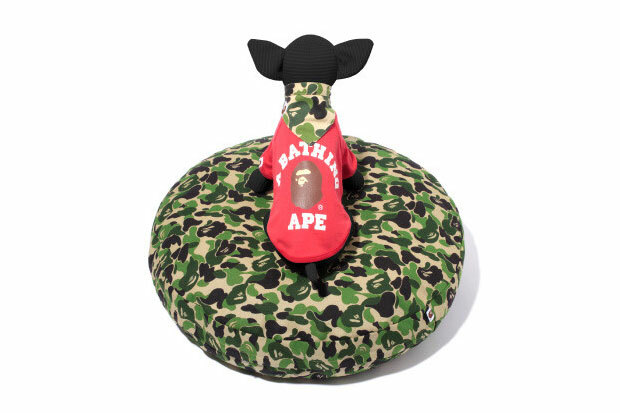 Yes A Bathing Ape has ventured into the wonderful world of animal accessories and is gearing up to release a collection of doggie products. 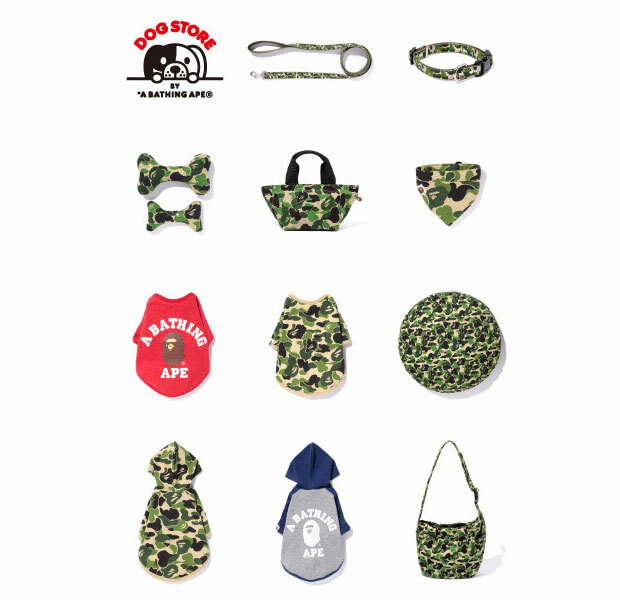 From hoodies to bow-ties, collars, bandanas and beyond, the majority of the fanciful line up is decorated in the Japanese label’s signature green camo print. The initial drop is currently scheduled for November 11th, 2010.